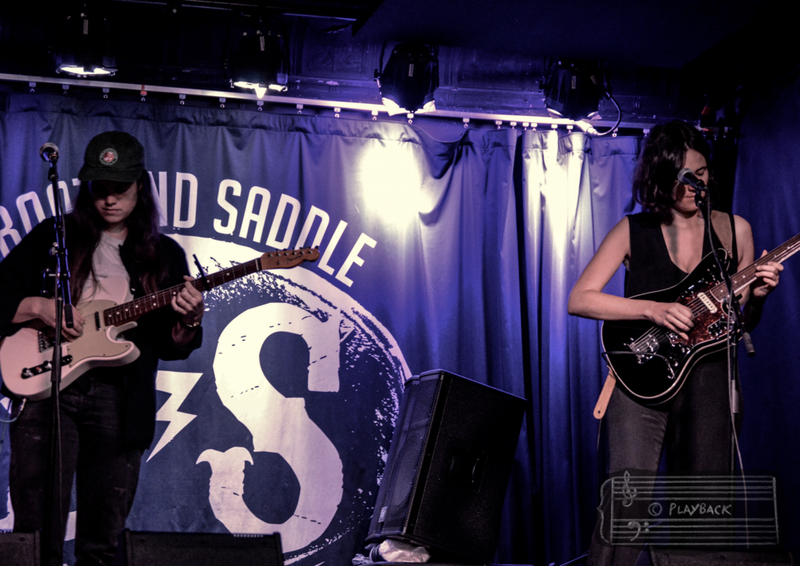 After a few minutes adjusting sounds, strings and pedals, Paloma Gil and Lou Hayat-Camard fell silent before sharing a subtle, blink-and-you’ll-miss-it look of acknowledgement and a quick nod. Signaling the start of a gorgeous performance of “Golden,” that quiet exchange quickly ushered in a glow that would reach every corner of the dimly lit room at Boot & Saddle. Still a few hours away from their nighttime set at the Philly venue (05-09-17), the musicians had finished their soundcheck just moments before transforming the dark, empty room into a blissed out playground that was a whole world away from the bustling barroom scene that you'd never know was unfolding on the other side of door. Writing and recording as The Dove & The Wolf since 2012, the Parisian natives are currently based in Philadelphia.